NEW HAVEN, Conn. — Progressives in Connecticut will celebrate African American History Month by commemorating one of the state’s most outstanding fighters for economic and social justice and peace. Activists will come together to carry on the legacy of George C. Springer Sr., a unity builder, teacher, union leader and activist who died in December at age 74. Springer, Northeast regional director of the American Federation of Teachers, was a remarkable leader and mentor, whose courage and commitment raised the level of struggle for equality in the state and nation. Organized around the theme of “We Will Not Be Silent,” the celebrations will also honor the historic speech delivered 40 years ago by Dr. Martin Luther King Jr. at Riverside Church in New York City. King courageously spoke out against the war in Vietnam. He joined together the civil rights, peace and labor movements against the evils of racism, poverty and war, opening a new level of unity that was key to ending the war. The events will highlight the need for broad unity to end the war in Iraq and to achieve economic and social progress toward equality in the 110th Congress. The program will include guest speakers, reflections, cultural presentations, a call to action and refreshments. Both events will benefit the People’s Weekly World newspaper. A Hartford event will be held on Saturday, Feb. 24, at 6:30 p.m. at La Paloma Saberna Coffeehouse, 405 Capitol Avenue. A New Haven event will be held on Sunday, Feb. 25, at 4 p.m. at the New Haven People’s Center, 37 Howe Street. Springer learned early in life about exploitation, racism and colonialism, growing up in the Panama Canal Zone. His father was a laborer who helped dig the canal. This experience shaped Springer’s vision and conviction to struggle for a more just world. He came to New Britain, Conn., to attend college and worked at the Stanley Works factory to pay his fees. After he obtained his degree, he taught African American history and graphic arts for 20 years, serving in the leadership of the New Britain Federation of Teachers, the New Britain NAACP and other community organizations. In 1979 Springer was elected president of the American Federation of Teachers in Connecticut, a position he held for 22 years. During his tenure, the union’s membership grew from 11,000 teachers to 24,000 teachers, paraprofessionals, public employees, health care professionals and higher education faculty. He was a vice president of the national AFT from 1988 to 2001 and served on its executive committee for several years. 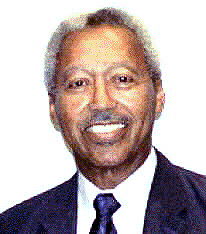 Springer also served in the leadership of the Connecticut AFL-CIO, the A. Philip Randolph Institute and the Coalition of Black Trade Unionists and on many boards and commissions. He was a founder and chair of the progressive political action committees LEAP in Connecticut and Northeast Action. Upon retirement, he served for five years as Northeast regional director of the AFT. He attended many international conferences and served as a monitor in the historic 1994 South African elections, when Nelson Mandela was elected president. Springer’s greatest passion took the form of concern for the condition and future of children. In 2000, he was a founder of the Coalition to End Child Poverty in Connecticut, which introduced state legislation that would have established an “end child poverty social investment fund” based on a surtax imposed on the highest income brackets. He leaves behind his wife Gerri Brown-Springer, four children, 10 grandchildren and four great grandchildren. For more information on the Connecticut tributes, call (203) 624-8664.